60% of released units sold! 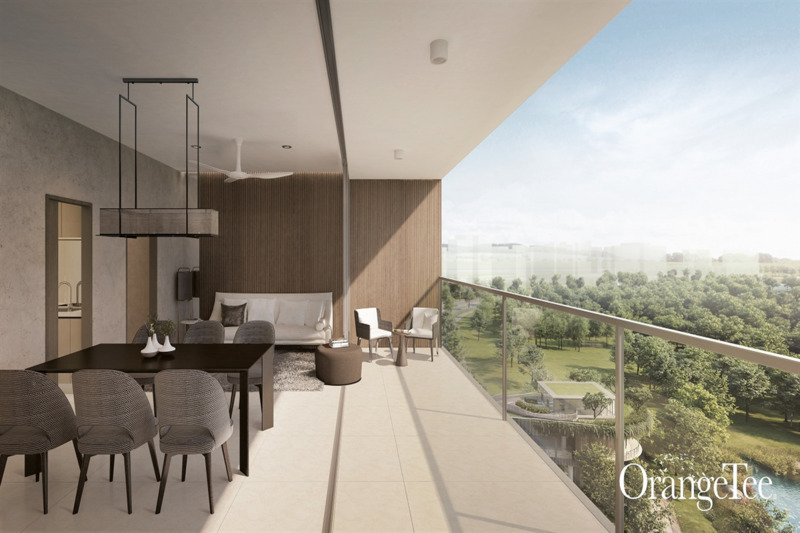 Come on down to see why The Woodleigh Residences is the showflat to view! Good things indeed take time. The Woodleigh Residences and The Woodleigh Mall are no exception. Soon to be unveiled, this is where Japanese craftsmanship meets retail energy. 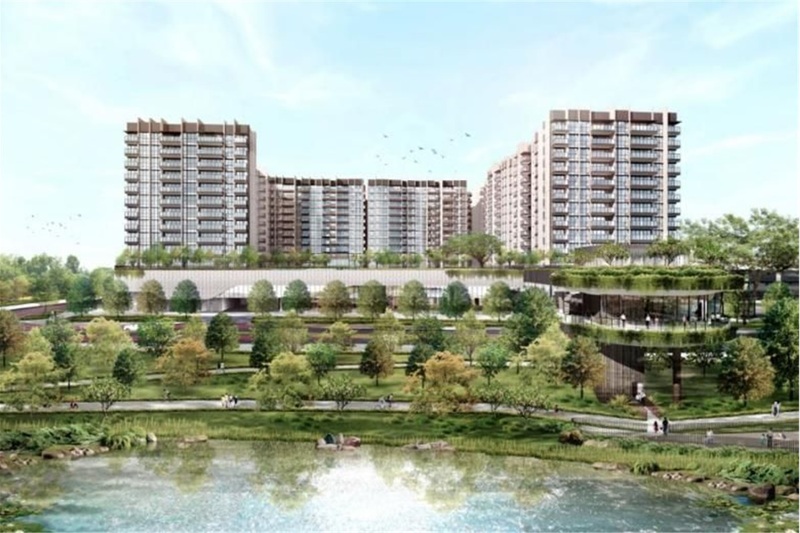 Part of the Bidadari Master Plan, they've been designed as a city-fringed "community in a garden" with picturesque views of Bidadari Park and Alkaff Lake. 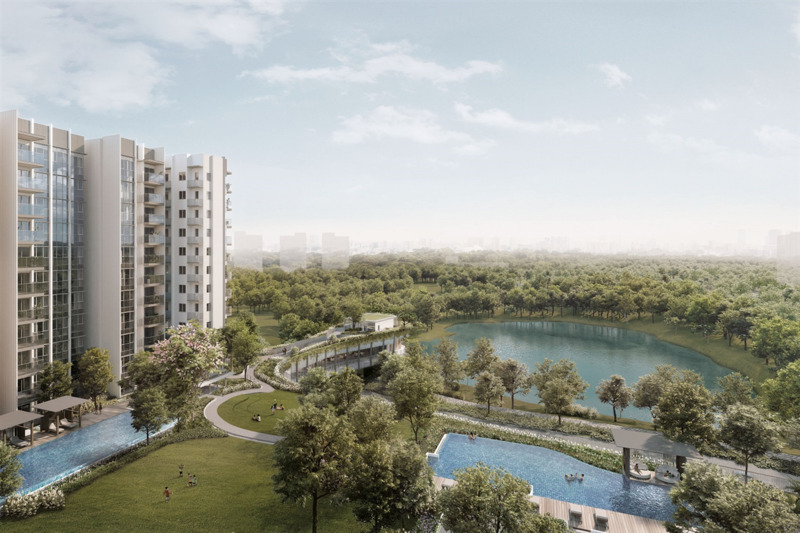 The site for this development is located at a very prominent location within the Bidadari Estate, at the confluence Upper Serangoon Road and Upper Aljunied Road. It is also flanked on two sides respectively by Heritage Walk lined with lush matured trees, and Bidadari Park with Alkaff Lake. As a mixed- use development, the two different components of commercial and residential are designed in a vertical stack arrangement, with 11 storey residential towers positioned above a 2 storey commercial podium. 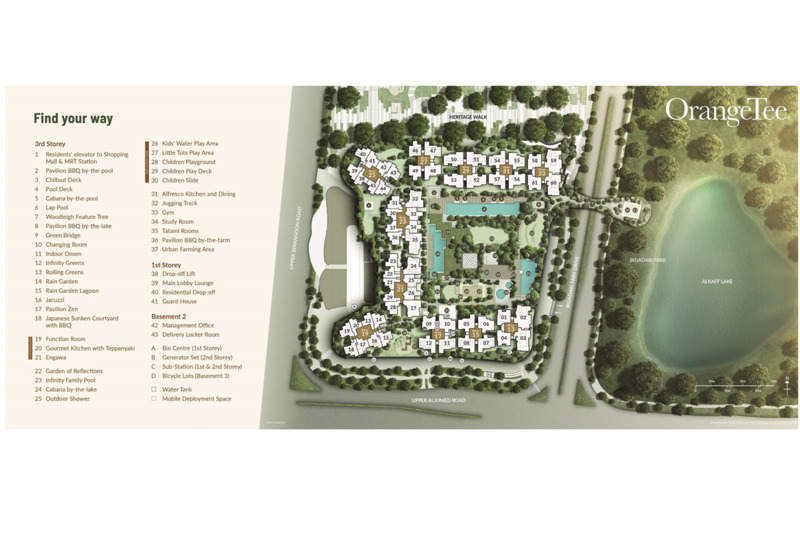 In HDB’s masterplan for the Bidadari Estate, majority of the flats in the adjacent plots are oriented in a predominantly North South orientation. The development has intentionally departed from this to introduce a sense of variation and visual interest to the streetscape, especially at this key junction. The overall U- shaped configuration of the blocks creates a central space on the podium’s e-deck that relates to and engages spatially with the Bidadari Park/ Alkaff Lake across Bidadari Park Drive. 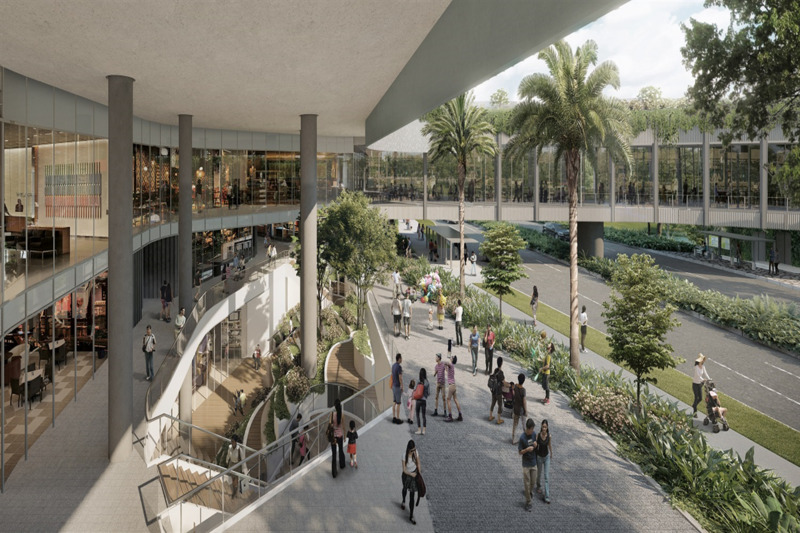 The landscaping in this central space serves as a pleasant backdrop and visually extends the boundary of the development’s landscape deck to Bidadari Park beyond, enhancing the outdoor experience of the residents. The blocks along Upper Serangoon Road have been articulated to form a gentle concave curving sweep fronting the road. The 2 blocks at the corners (Blocks 19 & 25) are orientated at an angle instead of being simply aligned with the 2 blocks (Blocks 21 & 23) in the middle. This setting back and cupping gesture formed by the angled blocks creates a friendlier and welcoming urban frontage which is less wall-like when viewed from Upper Serangoon Road. Such orientation also creates a forecourt to integrate the existing Woodleigh MRT structures within the development. It facilitates a terraced hierarchy of massing from main road to the residential blocks set behind and in this manner; the massing along Upper Serangoon Road is effectively scaled down. The podium profile along Heritage walk has been sculptured sinuously to echo the canopy foliage of the conserved Raintrees. As an urban response to the Nature setting of the Bidadari Estate and Heritage Walk, the 5 blocks (Blocks 25 to 33) are articulated and spaced out in a staggered manner to relate to the profile of the podium, and breaking the continuous street front plane of the massing. The angling away of the corner Block 1 creates a sizeable pocket of green space along this elevation that accentuates the start of the Heritage Walk while shortening the wall like effect significantly. Besides the articulated podium edge acting as an intermediary element, the dense canopy foliage of the existing conserved trees along Heritage Walk also acts as a natural buffer that screens and softens the visual impact of the towers above when experienced from the street environment. For Elevation along Upper Aljunied Road, gaps have been provided between blocks 13 to 17. Notably the angled orientation of corner block 19 creates a large pocket of green space between blocks 13-17 and block 19. In response to the contextual character of the Bidadari Estate, a soft and natural warm toned colour palette will be used for the treatment of the facades and architectural elements. Careful façade articulation with structural elements expression and extensive use of architectural elements such as balconies, horizontal sun shading ledges and vertical screens on air-con ledges contribute to breaking down the scale of the residential blocks. The shades and shadows projected by the articulated profiles of the blocks and these façade elements provide a strong sense of depth and visual interest that avoids a monolithic feel for the tower blocks.